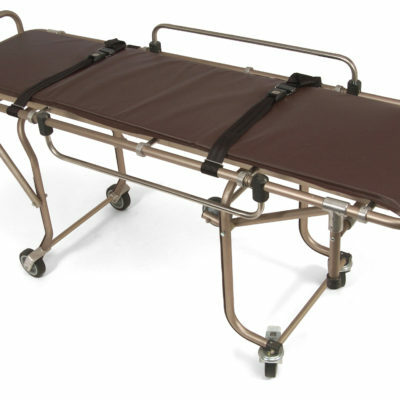 Easy-Fold Wheeled Stretcher | Holland Supply Inc.
Made of 1″ sturdy anodized aluminum tubing frame with flush folding hinges. 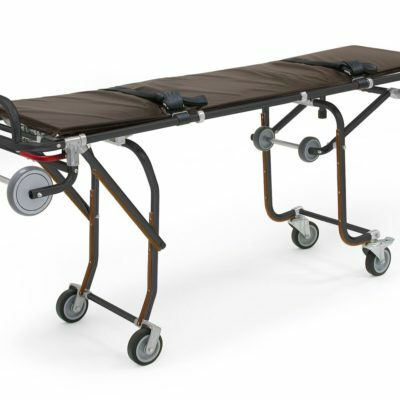 4″ wheels and posts fold easily out of the way for compact storage. Cover is fabricated from tough 18 oz. 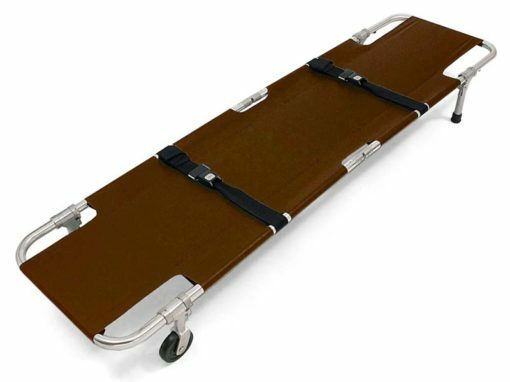 brown vinyl coated nylon. Cover is fungus and rot resistant and easily wiped clean. 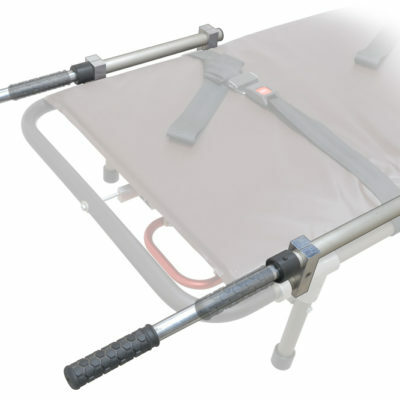 2″ wide straps with automotive seatbelt type buckles are standard equipment.